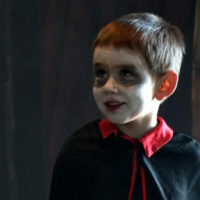 The Dracula Rock Show is the first theatrical production to be held in Nary School in decades. Since a proposed plan by the township to demolish the nearly 100-years-old building, former Nary School student Wayne Hoff has led the effort to preserve the school and transform it into a hub for theater, recitals, and community events. Tickets are a free-will donation and all proceeds will go to Nary School.